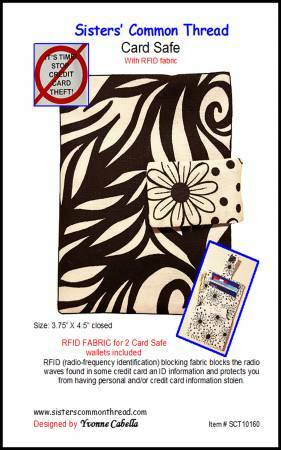 Card Safe comes complete with enough RFID fabric to create two no-nonsense wallets. With a place for bills, cards and misc, Card Safe can help protect you from an electronic theft of credit card and ID information. Size: 3.75" X 4.5" closed.